When we think of John Cleese, we may think of silly walks, ex parrots or even A Fish Called Wanda. We may ask ourselves who started the war. Or the correct way to make a Waldorf Salad. But John Cleese – that master of comedy and legend of Monty Python, Fawlty Towers and laughter in general – is much more than that. He is also very tall. And now he can add something completely different to the list – author of an autobiography (his own autobiography, what’s more). So, Anyway… is the new memoir of the comedy giant, providing the candid and hilarious story of Cleese’s life from birth (when it all began) until the dawn of Monty Python (with an account of the recent Python reunion shows tacked onto the end for extra value). As you would correctly assume, this is a funny book. A very funny book that splits off into unexpected tangents (nobody expects the Spanish Inquisition) on topics such as writing good comedy, cricket and waterskiing. A brilliantly funny book that follows our lanky hero as he maneuvers his way around school, teaching, university and New Zealand (where he takes a driving lesson and loses his virginity – although not at the same time). Here is a man who has left his mark on popular culture by appearing on everything from The Muppet Show to Cheers to Entourage. Young fans know him from James Bond and Harry Potter, and even younger fans recognise him from Shrek. Cleese is a masterful guide as he takes us through his early work with Graham Chapman, Peter Sellers and David Frost. He gives us rare insights into his growth from a tall, shy teenager to the dizzying heights of fame. He shares with us the secrets behind characters such as Basil Fawlty and what makes them tick, as well as his desire to help those in need. It was Cleese who pioneered the Secret Policeman’s Balls – starting with A Poke In The Eye (With A Sharp Stick) in 1976 – that have become an institution and continue to raise funds for Amnesty International today. 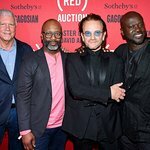 The Policeman’s Balls have attracted a plethora of comedy talent over the years, and inspired stars such as Bob Geldof and Bono to launch their own humanitarian ventures. Cleese also has a fondness for lemurs – he gave funds from the London premiere of his film Fierce Creatures to a project reintroducing Lemurs to Madagascar, later filming a BBC documentary about operation. Cleese is a living legend who inspires loyalty in his legions of fans – in 2010, Cleese fans produced a book to celebrate his 70th birthday, with proceeds going to his favourite charities – Amnesty International and the Prince's Trust. 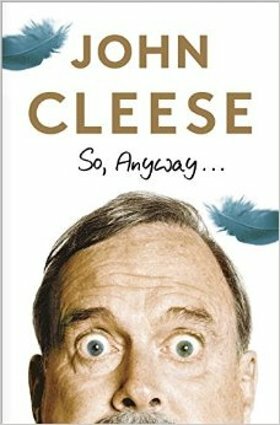 John Cleese’s autobiography, So Anyway… is available at Amazon.com, Amazon.co.uk and wherever funny books by tall authors are sold.